After Sandero and Sandero Stepway, we took advantage of the international test drives in Malaga to try out the revamped Logan, which remains the leading Dacia model in a number of countries. The redesigned model gets an extra helping of elegance while retaining its classic expression, paving the way for a long and assured future. 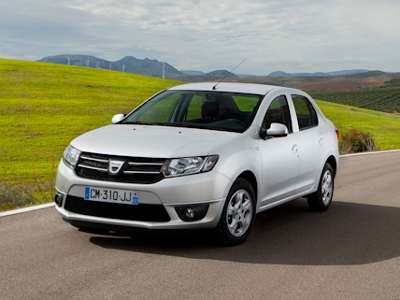 Sitting firmly on its wheels, Logan features a harmonious front end gravitating around the Dacia logo. The larger lights and grille emphasize the car’s expressive face. The renewed model has a dynamic profile, with a sculpted waist line and more flowing lines, achieved mainly through readjustments in windscreen rake and the ratio between body and glass surfaces. The practical-minded Logan has turned into quite a looker! The snaking roads of Andalusia are perfect for testing a car’s road behavior. 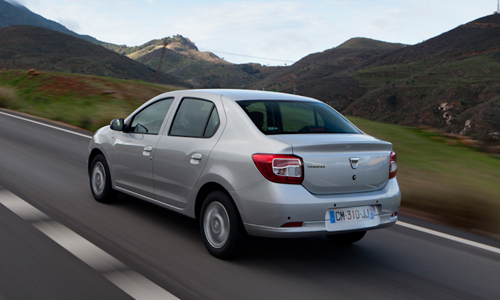 Like Sandero, Logan has an ideal balance between firmness and suppleness. The car corners precisely and soaks up bumps with ease. To spice things up, we took Logan down a pock-marked dirt road, where the car’s suspension did its job in style. 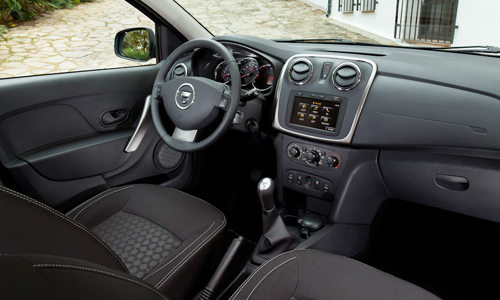 Our model was powered by the TCe 90 engine, supplying silky smooth acceleration and a strong dose of driving pleasure. Inside, the difference between the previous-generation model and new Logan is striking. 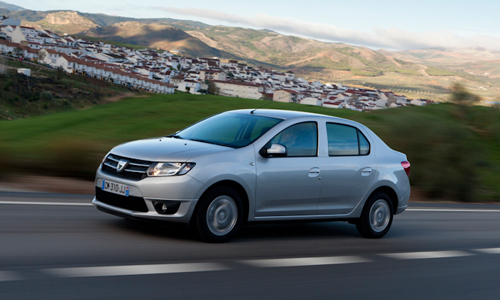 No doubt about it, Dacia is bringing its customers more bang for their buck than ever. Instruments are clearly presented and look good, too, thanks to chrome inserts. The central console is well thought out and intuitive in use, the optional Media Nav touch navigation system responsive and user-friendly. Plastics are still fairly basic but are well laid out in the cabin and have a pleasant finish. Logan has what it takes in terms of storage compartments, including a cubby on the upper part of the dash, a huge glove box and storage bins in the front doors. The first thing you notice out on the road is the excellent soundproofing. You feel the power of the TCe 90 unit but engine noise remains very low. Road noise is also well absorbed, even from the most trying surfaces. There is still some wind noise, which, according to the expert on hand at the test drives, Dacia is already working to get rid of entirely. 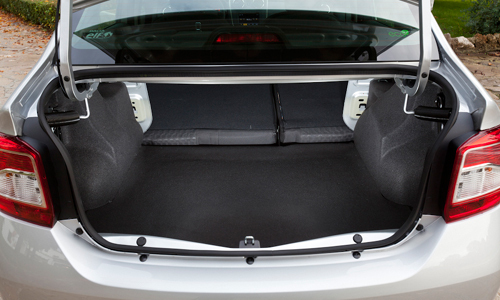 Mention should be made of Logan’s trunk – since it is a family vehicle with seating room for five adults. In regular position, volume is 510 dm3 VDA, which is practically unbeatable in the segment. Loading is easy, too, thanks to the width of the trunk (869 mm) and the optimized load height (754 mm). Unlike the previous version, Logan ships (according to trim) with a split-folding 60/40 rear bench for extra versatility..